It’s weekend so its time to head outdoors, to the cabin. Got none? Hide and Seek - The Architecture of Cabins and Hide-Outs will give you plenty of cabins to dream of over the weekend and inspire you to dream up your own. Friday is the day where the mind starts to wander to a lonely log cabin in the woods, by the lake, heated by a wood stove, no electricity. Or is it more a luxurious cabin by the sea? Maybe a sleek mountain hut that looks old and ramshackle from the outside but that’s modern and cool inside? 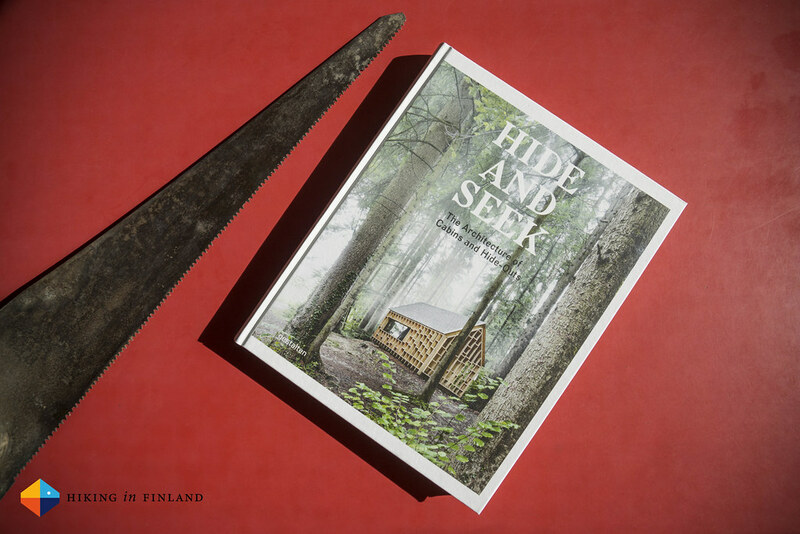 Hide and Seek - The Architecture of Cabins and Hide-Outs has them all: Coastal cabins, mountain cabins, open range cabins and the wood cabin, nicely sorted into four chapters of the finest cabins the authors could find. And they have searched far and wide, from the Isle of Skye to New Zealand and Finland to Chile, there’s bound to be a cabin for everyone in this book, Gestalten’s 2nd Cabin book after Rock the Shack. The book presents the cabins & their interiors of people who don’t want to give up life in the city but want to be able to escape to nature. And as unique as we are as humans, so unique are the cabins, their surroundings and interiors in this book. The focus clearly is on small living spaces in nature, because the outside in front of the window is your living room in many cases, your entertainment, TV and internet. 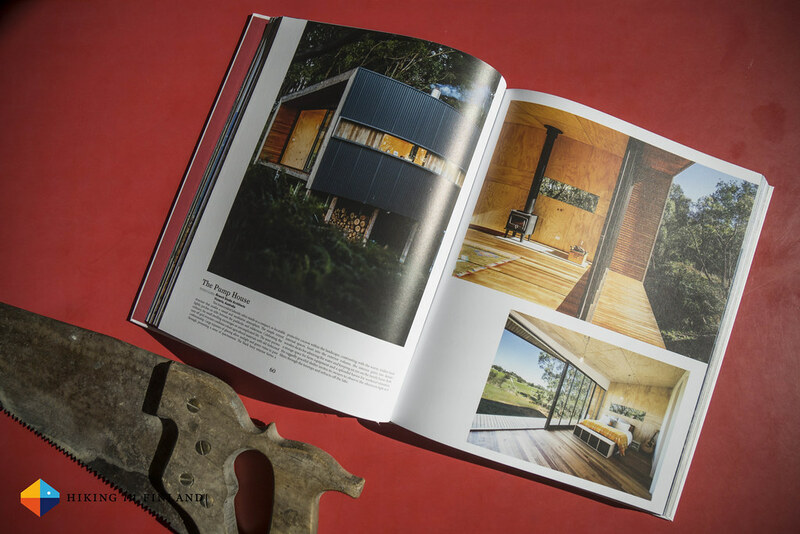 The book aims to inspire you to dream up your own cabin, but you’ll not find plans or construction tips in this coffee table book. However, in the index at the end of the book you can find out more about the architects of the cabins, so that gives you a good starting point. Sadly we don’t have a own cabin by the sea or lake, so a book which inspires the mind for a more simple life away from home certainly is a good way to relax. I found the book interesting, though I saw a trend to very minimalistic, modern, almost similar looking cabins - with just the scenery changing from the coast to the mountains to the forests. There was a lot of wood, concrete, steel and stones used, all in similar shapes & designs, often with straight lines. Standing out were really only Steve’s Thailand Dome House, the Tree Tent, the Cocoon and the Tree Snake Houses in terms of its design - that was fresh & organic architecture. While I liked most cabins in the book, I missed more organic, natural and rustic cabins and interiors - which there shouldn’t be a shortage of. Personally I also would have liked a more inhabited look in the interior photos, many had the sterile-looking feel of a Modern Art Museum. Despite this I would recommend this coffee table book to anyone who likes huts & cabins and can’t get enough of them. You’re bound to have seen some of the featured hide-outs in the book if you follow Cabinporn but there’s a host of new & fresh cabins featured which will get you dreaming about a weekend (or life!) away in them. It’s a beautiful book with high-quality paper and photographs, very legible typography and a clear layout which makes for a satisfying experience when reading & browsing. There’s all in all 80 cabins and hide-outs in the book on 250 pages, and the nature & scenery around the hide-outs and cabins is just as gorgeous as the huts themselves. I’m now off to dream up my own hut, if you need some weekend inspiration grab the book at your local book store or order it online from Gestalten, Amazon.com, Amazon.co.uk or Amazon.de. Oh, and in case you’re wondering: My favourite hut probably is Nido from Robin Falck.